The details in this took a long time! 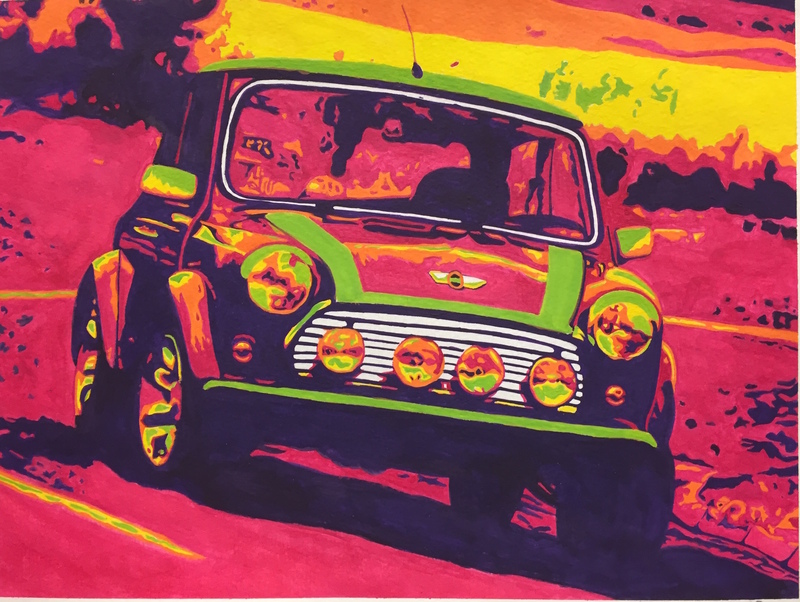 The car was carefully sketched out and painted with tempera paints. I enjoyed the work once I got in to it a ways.